“It is in three stages – easy, medium and hard and for someone like me (a ‘newbie’ at 62) the easy is great but once you get to grips with the easy it is so well explained that you can progress to the medium or even hard. Great book, great teacher. ” – Anthony B. Do you want to learn beautiful fingerstyle versions of Jingle Bells, Silent Night, O Christmas Tree, Deck The Halls and We Wish You a Merry Christmas? This is not like any other Christmas guitar book you have read or seen. ….I have created 3 stunning arrangements for EACH of them – totalling 15 versions all in all. Each of the Christmas carols has an easy beginner version, a medium version and a harder version for advancing guitarists. 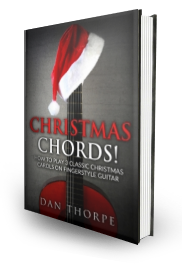 Dan Thorpe`s step by step book teaches you how to play five of the most famous and well-loved Christmas Carols of all time. You will learn five of the most well-known Christmas carols ever! In the book, I will take you through each version in a step by step manner and each version comes complete with tab, sheet music, audio, chords and lyrics. There is also a printable PDF for each of the 15 arrangements so you can print off, put in a folder and learn wherever you are. Instead of buying a book with the carols that you don`t know or like, or searching on YouTube for an arrangement that is suitable for your skill level, I recommend you take a look at this book and get started playing a piece that is made for YOUR current skill level. There are three different arrangements for each skill level and each one builds upon the previous one. This means there will be something for YOUR skill level. To play the `Easy` version you do not need to be an experienced guitarist. You do not even need to be able to play chords. They are simple and enjoyable and your family will recognise them for sure. Even guitarists who have played for quite some time and want a break from strumming or picking chords get a lot of pleasure from these simple arrangements and unlike a lot of chord-based strumming songs these melodies are instantly recognisable. In fact, you could learn the `Easy` arrangement in less than 15 minutes, and then show it off to your family or just play it to start getting into the Christmas spirit. Even if you have played for years, you`ll still get pleasure from learning the `Easy` arrangement and then you`ll be inspired to tackle the next one! The `Medium` arrangement builds upon the `Easy` one for even more impressive results and then the `Hard` one builds upon the `Medium` one. Many guitarists tell me they want to learn the really impressive fingerstyle arrangements that they hear on YouTube or those played by the great Tommy Emmanuel or Chet Atkins but no one teaches them in a step by step progressive way. YouTube teachers seem to throw them right in at the deep end with way too much complication. I have tried to eradicate all the complication with these arrangements and teach them to you in a progressive and linear way. I like to make things easier for students and build up to the tougher stuff not throw you right into the deep end and kick the fun out of it – unlike some. Pickup on some of my best and most relevant fingerstyle tips and nuggets of information in the `Power Tips` located throughout the book. These are specific and relevant to the arrangements as well as tips and ideas you can quickly implement into your own arrangements, general playing and your own songs. There are over 40 of the power tips and each one will aid your playing as long as you implement them! Do you find strumming chords a little boring and no one recognises what song it is? If you are like most guitarists – particularly those who find fingerstyle a challenge then you have probably done your fair share of strumming songs. If so, that is great as strumming songs are a good way to get the ball rolling on the guitar. The trouble with strumming songs is, that after a while they can all start to sound samey and can blend into one. Annoyingly some people won`t recognise them when you play them unless you sing along. This can be a little disheartening and is a great reason why you should learn to play melodies on the guitar. Any time you play a memorable and famous melody, often the listener will recognise it right away. This is a great feeling and a big part of what the book is about. I can`t tell you how many books out there are still being released that don`t actually contain any audio examples of the things they feature. In this day and age where anyone can record high-quality audio anywhere, there is no excuse. You won`t find that here. In this book, I make sure EVERY note is recorded on high-quality MP3 so you can listen to them and know exactly how they should sound – no more guessing! There are full speed and slower versions of each arrangement so you can play along with the slower one when learning and then aim to build up to the full speed version when you are more comfortable with the arrangement. Doing it this way makes it so much easier to learn! So many authors of books neglect this and it makes learning the examples way harder for the reader – and that is if they actually give you the audio! Many don`t! All of the techniques in this book have been thoroughly road tested for your benefit! I have done all the trial and error for you. I have tweaked and tested these arrangements until they cannot be tweaked and tested any further, and now I present to you the finished product. Christmas Chords! How to Play 5 Classic Christmas Carols on Fingerstyle Guitar will save you hours of frustration, countless headaches, and teach you how to have some fun this Christmas on your guitar. Why you should look for and use the chord symbols above the stave even if you are not playing that full chord! The arrangements are inspired by some of the greats – you will learn some of the cool things they do! I make no secret of the fact that as a guitarist I`m constantly looking to improve and learn from the best of the best as well as my peers and even those guys who aren`t as skilled as me (you can always learn something from someone). All these arrangements are my own but have been influenced or inspired to some degree by the following guitarists and teachers. I believe this book will be a great one for you to get out year after year. Each Christmas I go through some of these arrangements with private students and have seen how some of my longer-term students have progressed from just being able to play the `Easy` melody all the way to being able to tackle and perform the `Medium` and in some cases `Hard` arrangements. It is really encouraging for the student to see how far they have come since last Christmas. If you get this book and keep aiming to improve then you will see the same progress and look back at your progress from past Christmases with pride and you can learn the tougher arrangements year after year. For Christmas 2017 I have updated the book and added two new carols, `Deck The Halls` and `O Christmas Tree`. Both of these are wonderful carols done with my `easy, `medium` and `hard` arrangements. They also feature different techniques to the other carols such as fermatas, jazz chord voicings and more – so learning these will help you expand your playing. These also compliment the techniques learnt from the other carols as there is a lot of crossover between them. This means you get the best of both worlds. New carols, new techniques but not a huge amount of new stuff to take on board. All in all, the 5 carols with 3 versions each – totalling 15 brilliant arrangements for each skill level WILL improve your playing and give you lots of joy each Christmas for many years to come! “It is in three stages easy, medium and hard and for someone like me (a ‘newbie’ at 62) the easy is great but once you get to grips with the easy it is so well explained that you can progress to the medium or even hard. You will save a lot of time with the information in this book. If I were to teach you everything here, one-on-one, it would take many lessons costing far more than this book. The small price for `Christmas Chords! How to Play 5 Classic Christmas Carols on Fingerstyle Guitar` saves you something even more valuable than money – your precious time. Remember, I have road tested all these techniques on real-life students and refined them many times so that they can be easily digested, are practical and most of all, are useful for you. Buy Christmas Chords! How to Play 5 Classic Christmas Carols on Fingerstyle Guitar and if you are in any way dissatisfied once you have read the book, I will refund all of your money immediately, no questions asked. I have no problem offering this kind of guarantee. Why? These techniques are those that I use repeatedly with students of mine, either in direct one to one lessons or group lessons. I know these techniques work for them. They’ll work for you too. The book comes in both PDF and Kindle formats, along with all the audio for the examples in the book (which you can either stream or download) and a printable tab PDF. 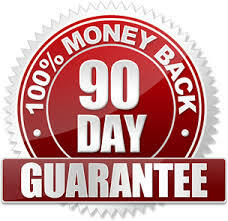 This is the same as the version you will get if you were to order it from Amazon but if you buy here you will also get a PDF version of the book, lifetime access to download it and the no questions 90-day money back guarantee. Every arrangement of every song in the book, which is 5 songs which have 3 arrangements each, totalling 15, all come with their very own Guitar Pro file. Having the Guitar Pro files makes learning the arrangements even easier and more fun as you can slow things down, repeat certain sections, and loop any tricky phrases or sections. Auld Lang Syne as you will know is a traditional new year song, so once you have your Christmas tunes sorted you can get this one ready for new years eve! It`s also a great piece to play. In this pack, you get the tab and chords, plus the play-along tracks of which there are 9 in total. Fancy playing the melody and have me play the chords? You can, simply put on one of the 3 fast, medium or slow versions and have me jam with you. Fancy playing the chords? Again you can simply put on one of the 3 fast, medium or slow versions of the appropriate track and I`ll jam the melody with you. There are also 3 versions (fast, medium and slow) of both parts combined so you can hear and understand exactly how it should sound. This is lots of fun and easy to do too! This guide shows you the specific steps I take to create my own arrangements as seen in my Elite Guitarist Inner Circle as well as various books I have written. I love taking other people`s music and supercharging them to make them sound stunning. Fingerstyle arrangements are often seen as a `dark art` or a mystery to many as they simply don`t know how to start. This simple guide will demystify the process so you can create your own arrangements for literally ANY piece of music you want to! (Please note that you do NOT need a PayPal account to purchase this product).